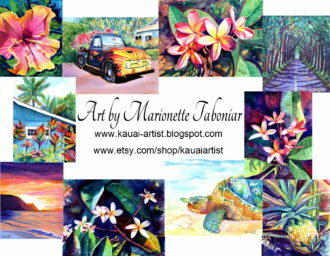 Original Hawaiian style paintings, giclee prints, and custom commissions by Kaua'i artist, Marionette. Landscapes of Kaua'i, exotic tropical flowers, cute plantation cottages, and hula dancers describe the subject matter that Marionette paints in mediums such as watercolors, acrylics, pastels, and silk painting. She is a full time artist and art instructor and is currently accepting commissions for custom paintings. Known for her bold use of color, her work can be found in public and private collections throughout the world. 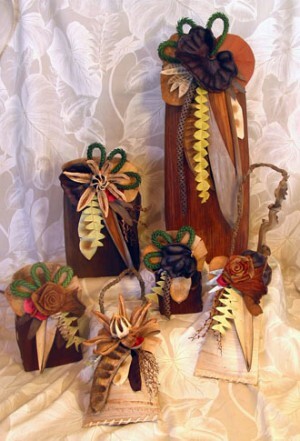 Marionette paints and teaches art classes at her west side studio in Waimea Town.